After having a brief infatuation with it, I've come to the conclusion that Hot Club style Jazz just isn't my thing. My Le Voi D hole guitar isn't getting used and I'd like to free up the cash I sunk into it to buy some gear that will be used, like a decent Telecaster. It's a 1997 model, D hole, ebony fingerboard. The body meets the neck at the 12th fret, and the fret board extends to the 24th fret on the treble side. 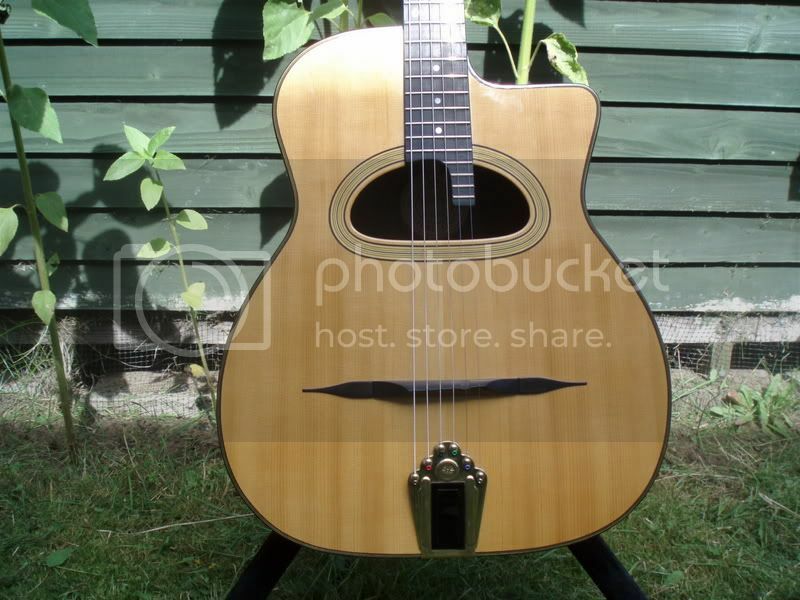 It's fitted with an undersaddle pickup (Bigtone?). It's extremely lightweight, lighter than other Selmer style guitars I've played and it has amazing tone. 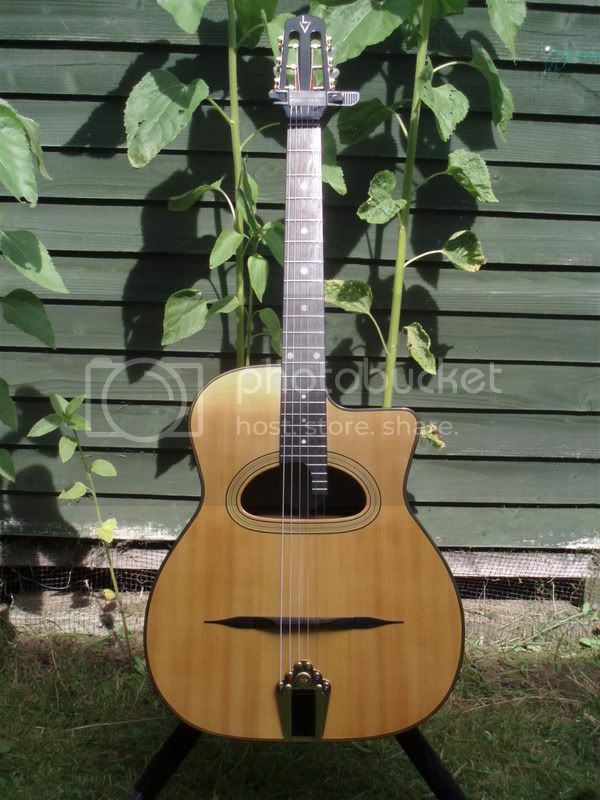 It's currently strung with D'Addario gypsy jazz strings. It's in excellent condition and I'd like to get back the money I invested in it, so I'm asking for £1,150 plus postage. These cost around £1,900 new for the most basic models with a nine-month waiting list. It stopped £20 short of the reserve last time... doh!